It is probably safe to say that Boston Symphony audiences seldom get to hear music like Osvaldo Golijov’s La Pasión según San Marcos, which monopolizes the program for this weekend. This much-ballyhooed oratorio-passion, using a largely popular Latin American idiom, was premiered in Stuttgart in 2000 and given its US premiere by the BSO a year later; it makes a bold statement, championing the connectedness of all art and the popular wellsprings of religion, while also giving voice to Golijov’s own experience as insider and outsider to a specific place and culture, as a Jew growing up in Catholic Argentina. The performances at Symphony Hall (we were there Thursday, January 9; it repeats Friday and Saturday at 8:00) under the baton of Robert Spano (beware: the 90-minute work is performed without intermission) are given by an eclectic ensemble that adds members of the BSO brass and string sections to an otherwise self-contained corps that has been performing this work since its premiere. It consists of a choir, the Schola Cantorum of Venezuela, directed by Maria Guinand; a bespoke instrumental ensemble called Orquesta la Pasión, comprising piano (co-leader Gonzalo Grau), guitar, accordion (interestingly, a “regular” though amplified piano-accordion rather than a bandoneón), a berimbau (Brazilian instrument sort of like a Chinese erhu but with only one string and sounding something like a jew’s-harp), and an eye-popping array of Latin American bongos, drums and other percussion instruments; one “classical” singer (soprano Jessica Rivera); two vocal soloists within the Latin American popular tradition, alto Biella da Costa and high baritone Reynaldo González-Fernández (plus numerous soloists drawn from the choir), as well as capoeira dancer Deraldo Ferreira, who with González-Fernández contribute solo dances to this Gesamtkunstwerk for the 21st century. A brief word or a hundred of background is in order, though you may wish to get it from the horse’s mouth in this interview of Golijov by the BSO’s Brian Bell. Commissioned by Helmuth Rilling as one of four passions (one for each evangelist) to commemorate the sestercentennial of J.S. Bach’s death (the other composers commissioned were Wolfgang Rihm, Sofia Gubaidulina, and Tan Dun), Golijov’s remit was to reflect a Latin American approach to its subject. Golijov, born and raised in Argentina and familiar with its and the wider region’s idioms, was well suited to this task, but being Jewish he felt uncomfortable trying to address this central story to the Christian faith. His resolution was to focus, in true post-modern fashion, on the telling of the story as the story. The moods, timbres, sights, rhythms and body language of the people are what this work is about, together with the portrayal of the whole people as the betrayed and defiled Christ. This latter point is important to Golijov’s realization of the story musically, as he does not assign roles in the drama to any single performer or group—anyone can sing Jesus, or Mark, or Pilate or Judas. The texts, in Spanish except for a concluding Kaddish in Aramaic and occasional snippets in Latin, are drawn from several Spanish editions of the Gospel, plus a couple of secular texts, most notably for the aria “Lúa descolorida,” Peter’s meditation on his denial of Jesus, taken from a poem by the Galician Rosalía de Castro. Since its premiere to wildly enthusiastic audiences (in Stuttgart the applause, it was reported, lasted 25 minutes) this work has been performed perhaps more often than any other large-scale contemporary piece, but always by substantially the same forces (Guinand conducted the premiere and most of the Latin American performances, and Spano most of the rest), though individual performers may vary—the BSO premiere called on soprano Elizabeth Keusch, though Rivera appears most frequently. Musically, it certainly has precedents in the marshaling of folk and popular elements on a framework of sophisticated musical design: Bernstein’s Mass, Gershwin’s Porgy and Bess, even Rossini’s Stabat Mater, if one remembers that opera was the pop music of its day. Even as its performers have developed a cottage industry in staging it, the work is becoming something of a magnet for not only musical, but sociological and even literary commentary—there’s a thesis you can find online discussing Golijov’s use of musical genres as a form of irony; we’re not sure we’d completely agree, although it did seem that much of the brassy salsa music in the Passion set texts of cruelty, such as the crowd’s denunciation of Jesus. None of this commentary, analysis and traveling circus would exist, of course, if there were not something of substance—indeed, of awe-inspiring substance—beneath it. In his review of the BSO premiere, Richard Dyer called the work “the first indisputably great composition of the 21st century,” although to be fair Lloyd Schwartz demurred. Our own reaction was closer to Dyer’s; the variety of popular genres that Golijov deployed to his purposes serve a highly refined musical sensibility that combines them to powerful cumulative narrative effect. Behind the rhumbas, salsas, capoeiras and other styles, which others more familiar with these idioms will have to name, there are minimalist ostinato, post-modernist neo-tonal harmonies, complex counterpoint and clashing rhythms, plus that one ravishing operatic aria that Rivera put across with utter sincerity and unmiked luminosity (all the other singers, and the quieter instruments, were amplified). The concluding chorale Kaddish expertly avoided overt judaicisms, blending Latin soulfulness with just a hint of Hebraic inflection, all to breathtaking effect. Our notes disclose many other moments in the music that captivated: a section featuring the guitar against murmuring violins was deftly and delicately scored; the “clapping music” (Steve Reich, anyone?) standing in for flamenco introducing Judas’s aria “I wish to forswear”; the thrilling, quiet energy of the chorus and drums within the “Eucharist” section; the hymn “We Give Thanks unto the Lord” building through an ostensible set of variations (the tune was credited by Golijov as the protest song “Todavia Cantamos” by Victor Heredia) to pulsating intensity; the delicate instrumentation with accordion in the “Agonia”; Da Costa’s sultry rendition of Judas; the marvelous antiphony of choral sections against “jungle music” in “Scorn and Denial.” We were enthralled with all the performers, though some of the choreography seemed a bit rudimentary, and the Spanish diction of the singing (it is their native language, after all) was not adequate to keep these foreign ears apprised of where in the text we were. Spano’s conducting was precise yet energetic to a fault—this piece is his baby, and he dines out on it. Some alert reader with a stopwatch can tell us how long the applause went for—not 25 minutes, but enough to show that most of the audience went home satisfied. Alex Ross dropped an aside in his New Yorker review of the BSO premiere that the St. Mark Passion is not likely to become a repertory piece by virtue of the specialized forces needed to perform it. We think that underestimates the versatility of musicians; it would be best for the future of this work, we think, if it were taken up by other bands, other hands, to evangelize. I wonder if anybody would have any reason to think the composer is Jewish, apart from the inclusion of the mourner’s kaddish at the end — an entirely appropriate conclusion comparable to the Bach passion concluding choruses, made even more fitting, IMO, by putting it into Aramaic, the vernacular of Jesus’ day. Perhaps a Christian composer might feel a certain obligation to create a work that is in some sense “orthodox,” while Golijov may have felt freer to follow the text wherever it led him. But the result does not come across to me as “A Jew Looks at Mark’s Passion Narrative.” Indeed, one could hardly ask for anything more consistent with Christianity than the moment when the soprano is spotlighted as she sings the words, “Take, eat: this is my body,” and “This is my blood, which is shed for many.” This is one of the sections where the percussion is stilled, and it was thus one of the more accessible moments for me. Another section of relative quiet is another soprano solo. the “Aria of Peter’s Tears,” to which Mr. Koven referred in his review. This was for me the highlight of the entire piece. Unfortunately, although I had been following along quite well in the libretto through No. 21, the “Dance of the White Sheet,” Nos. 22-25 proceeded so rapidly, perhaps with a Bachian setting of several lines simultaneously, that I was still loking for words in No. 22, when the aria began, and I thought it was an interpolation. It might have been more meaningful if I had known what was being sung, but the singing was beautiful, as was the music. For me, however, much of the work, while lively, loud, and interesting as exemplifying Latin American music, did not work specifically as a Passion. Again that’s my problem. Perhaps if I had read this review and seen Brian Bell’s interview of the composer, I’d have grasped it better. Perhaps subsequent hearings would enable me to hear the meaning expressed in the music. At any rate, I hope people who read this review will be inspired to go and hear and see it for themselves. 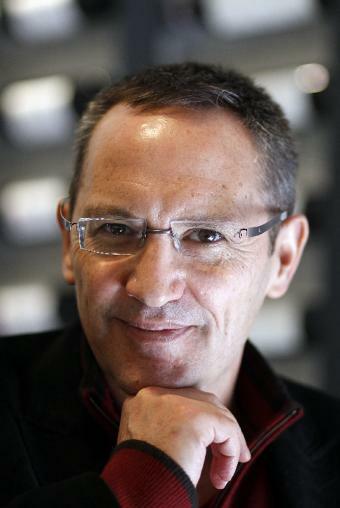 Osvaldo Golijov has given us a spectacular reading of the St. Mark Passion. http://www.bostonphoenix.com/boston/music/other_stories/documents/00642860.htm; I cannot find Dyer’s review (2/4/01) even in Globe archives, for some reason. David, I found Richard Dyer’s ecstatic review through the Boston Globe archives (searching on “Golijov Passion Spano” and asking for “oldest first.” The link I got for it was http://pqasb.pqarchiver.com/boston-sub/doc/405385583.html?FMT=FT&FMTS=ABS:FT&type=current&date=Feb+9%2C+2001&author=Dyer%2C+Richard&pub=Boston+Globe&edition=&startpage=&desc=%60PASION%27+ASTONISHES+AND+INSPIRES , which I hope will work for other Globe subscribers. I remember the 2001 performance, and heard the work again on Thursday night (I’m going again on Saturday). This time out, I was bothered by the pervasive amplification of almost everything (the BSO strings and brass excepted). Frankly, I think the more-sophisticated loudspeaker arrays in today’s Symphony Hall are tempting composers and performers whose works may need some amplification (in this piece, the solo “vernacular” singers and some of the folk instruments) to get carried away and amplify too many elements (like, in this case, the powerful chorus, made to sound somewhat synthetic). The Pasión, and the performance, were spectacular and moving. I was also present at the February 2001 premiere and count it as one of my more memorable concert experiences. The shock of hearing (with scarcely a hint of what I was in for) a work of such audacity and ambition gave me a sense of what it must have been like for earlier audiences in Symphony Hall to encounter, with innocent ears, works like the Symphony of Psalms or the Concerto for Orchestra. I recall that the hall that night was packed and those in the know were aware that something big was about to happen (among that number was Peter Serkin, who after completing his unusual assignment as the warmup act — the concert opened with Bach’s BWV 1052 — slipped into a front row seat to take in what was to follow). The ovation at the end was massive and, barely a month into new millennium, I thought (somewhat extravagantly) that the Earth had, indeed, moved. Thirteen years later the experience was, inevitably, rather different. Even though I went on to buy the two recordings of the work, I’ve not much listened to them and this remains a work that I know all that well. So there were still new things to learn. This time around its debts to Steve Reich were a bit clearer (not just the influence of his Clapping Music, but also the phasing on “Elohi, Elohi” at the opening and the close). And the spirit of the great Astor Piazzolla seemed to loom even larger last night. But though the bit and pieces that Golijov assembled together into this unlikely collage now seems more familiar, the whole assemblage still has the power to amaze. My wife and I went with a friend who was hearing the work for the first time (and had mistakenly thought he was going to hear an all-Ravel concert): his ears were clearly hearing something closer to what I’d heard a decade earlier. Like Stephen Owades, I was thrown off by the amplification, which (as Jeremy Eichler pointed out in his Globe review) had the paradoxical effect (at least in the front row of the second balcony) of making the sound thinner and more brittle. It also seemed to me that Spano rushed the tempo a bit on the Lúa descolorida, which needs more time than it had on Friday to do what it needs to do: to stop the onward rush of events that culminate in the Crucifixion by plumbing the depths of Peter’s grief of his denial (a moment that neatly echoes Bach’s move in the St. Matthew of focusing attention not on actions done by crowds from another time but instead on the inevitably failings of the faithful). But this is, of course, a question of interpretation and Golijov’s composition is rich enough to be open to a variety of readings. And that was one of the main things that troubled after last night’s performance. La Pasión según San Marcos has been with us since September 2000 but, unless I am mistaken, its performances have always consisted of a core group of instrumentalists (now known as the Orquesta La Pasión), the spectacular Schola Cantorum de Venezuela, and 27 strings (violins, cellos, and basses) and four brass from the orchestra performing the work. And there resides the problem: here is a work that deserves to take its place in the repertoire but is bound to one particular set of performers. It needs to migrate to other hands if we are going to learn what it can do, but — some thirteen years after the premiere — it hasn’t. There are any number of gifted musicians working and studying within a half mile radius of Symphony Hall, many of them more than fit to take on the demands of the piece. I hope that we will, eventually, get a chance to see what they might make of it. But perhaps the most depressing aspect of Friday night’s performance were the rows and rows of empty seats on the sides of the second and third balconies. If the management of the BSO is interested in cultivating a younger audience, here is a work that could, with aggressive efforts at outreach (and a better sense of when the winter break ends), have opened a few ears. Hearing the Pasión for the first time on Thursday, not speaking Spanish and with inadequate light to follow the libretto, I finally just sat back and enjoyed the survey of Latin music with little sense of how it related to the story. On that issue I agree with Lloyd Schwartz’s linked review. Even with that severe limitation, I had a splendid experience, but it wasn’t the whole of what Golijov was offering. This is a work that desperately wants supertitles, which, understandably, have not been affordable by any group yet presenting the piece. I, too, finally just sat back and let it wash in and out like the tide, and the experience was exhilarating. Rivera here was as compelling as she was in John Adams’s Flowering Tree, but it was divine to hear the chorus of sopranos match her note for note with just as pure and delicious a sound as hers. Watching Spano dance through much of the piece was an absolute joy, and you have to wonder how any conductor could resist the urge. I’ll listen to the recording with new ears now that I’ve heard it live and hope to make something more of the text than was possible on Thursday night. No matter — it was a great evening of stunning music making. I attended this concert on Saturday night- wasn’t initially planning on going, but was so intrigued by this review that I felt compelled to see what the fuss was about. Am I glad I did! What a remarkable piece. I think my favorite moments were Peter’s aria, the Kaddish, and the brief overture which used themes from the Kaddish. I completely agree with the suggestion for supertitles. I was able to follow, but only with great difficulty, and as other people in my row noticed that I seemed to know where we were I eventually became responsible for telling everybody where we were. Watching the drummers, and Lindquist in particular, was such an incredible experience, the energy was overpowering. If there was any weak point in my experience I think it would be the choir amplification. The combination of the loud amplification and the choir’s less-refined folky style of sound production made for a tinny sound which could be really grating at times. Quite probably much of this was intentional and could be effective (such as in the section dealing with the judgement of Caiphas, where the choir was clearly exaggerating the nasal sound) but in other parts it just became wearying for the ear. I’d love to hear this piece taken up by other choirs and maybe even sung without choral amplification. A small point of information: the Kaddish text IS and always has been in Aramaic, save for one phrase in Hebrew at the very end of it. Never knew that. Thanks for the correction. Unfortunately, I left my glasses at home and could not follow the text with the music. On the other hand, I did listen to the music, and it seemed to quote or derive from so many different sources I was left undecided about the “unity” of the overall composition. Has Golijov stitched together various disparate pieces in a pastiche of styles (Bach, Orff,Piazola,and others mentioned above)or is there enough stitching to qualify it as something new and original in its own right? I asked Gunther Schuller recently if there was any place on the web that reviewed developments in Third Stream music. “No,” he said, “there is no longer any need. It is everywhere.” But he went on to say that only some qualifies as genuine fusion where the composer has thoroughly absorbed separate genres into a coherent and musically satisfying whole. I was very impressed by the singers ability to make complex texts into versions of Latin American street music or old fashioned passion plays. In the end, however, I was not moved as I have been by the Bach St. Mark’s Passion. I was left still thinking about the music, and I tip my hat to Vance Koven and the others who wrote such intelligent commentary. If only more music sparked such response. Thanks very much.